Railroad Accident Attorney - Injured in a Train Accident? Were You Injured in a Railroad Accident? Every year, nearly 2,000 railroad accidents leave workers, passengers, and bystanders seriously injured. 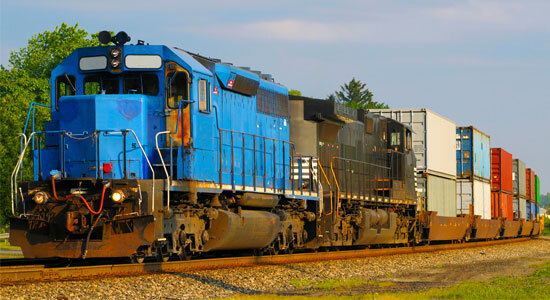 Railroad accidents are extremely complex because there are often multiple parties responsible. These cases can be bogged down with corporate red tape and pushy insurance companies fighting to settle for as little as possible. If you've been hurt in a railroad accident, call our attorneys today. We'll cut through the red tape and fight to get you fair compensation for your injuries. We're available 24/7 at 1-866-943-3427 or simply fill out our free online legal consultation in the top right corner of this page. There's no fee and no obligation to talk with our legal professionals. If you've been injured from these – or any other railroad accidents – we encourage you to contact an attorney right away. Railroad companies have teams of attorneys standing by to protect their interests. Hiring a lawyer will give you the best chance to recover fair compensation for your injuries. Since 1982, our winning attorneys have recovered over $1 billion dollars for our injured clients. Visit our verdicts and settlements page for examples of the cases we've won. With decades of experience and success on your side, we'll handle the hassles of your railroad injury case. We'll answer your questions, protect your legal rights, and fight to recover the money you deserve.